Ladies and gentlemen, boys and girls, step right this way! The circus has come to town, and--lucky us!--it's set up camp right in our shop. 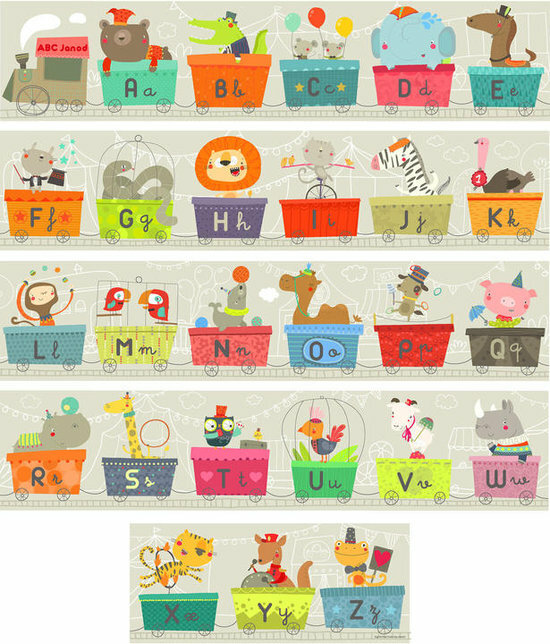 We think circus-themed toys and games are the BEST way to welcome in the exuberant fun that summer brings, and they deliver a big burst of kitschy whimsy that feels just right to us. Besides, who DOESN'T love popcorn? 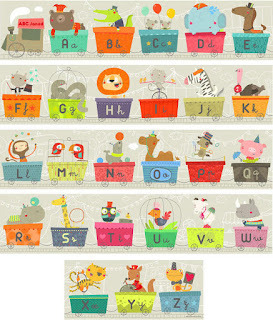 Here's a sampling of the circus goodies currently filling our shop. 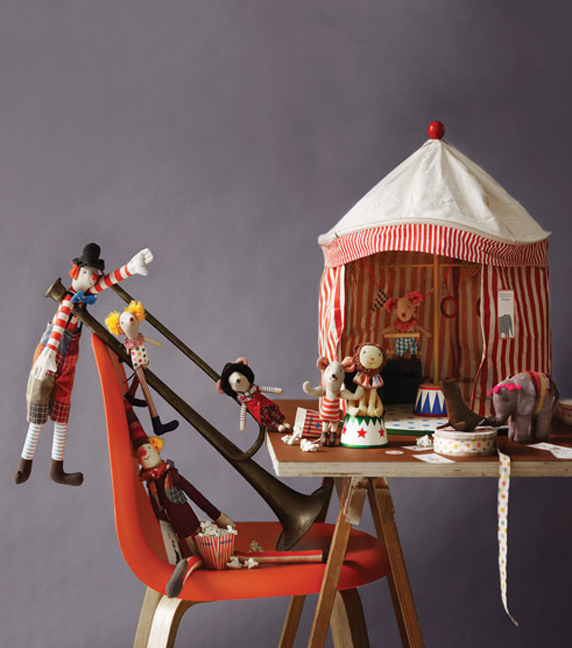 Danish toy line Maileg has magician-ed up a very magical, red-striped circus tent: if we weren't GROWN-ups, we would drop everything and play with this for hours (ahem). 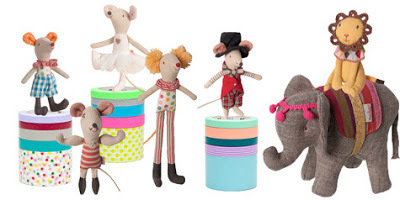 Pick from a whole cast of circus characters to fill your tent: there's a goofy mouse clown, a pompous mouse ringmaster, a pretty mouse ballerina riding a stately elephant, and a tiny mouse on the loooongest stilts you've ever seen. Want to make the circus larger than life? 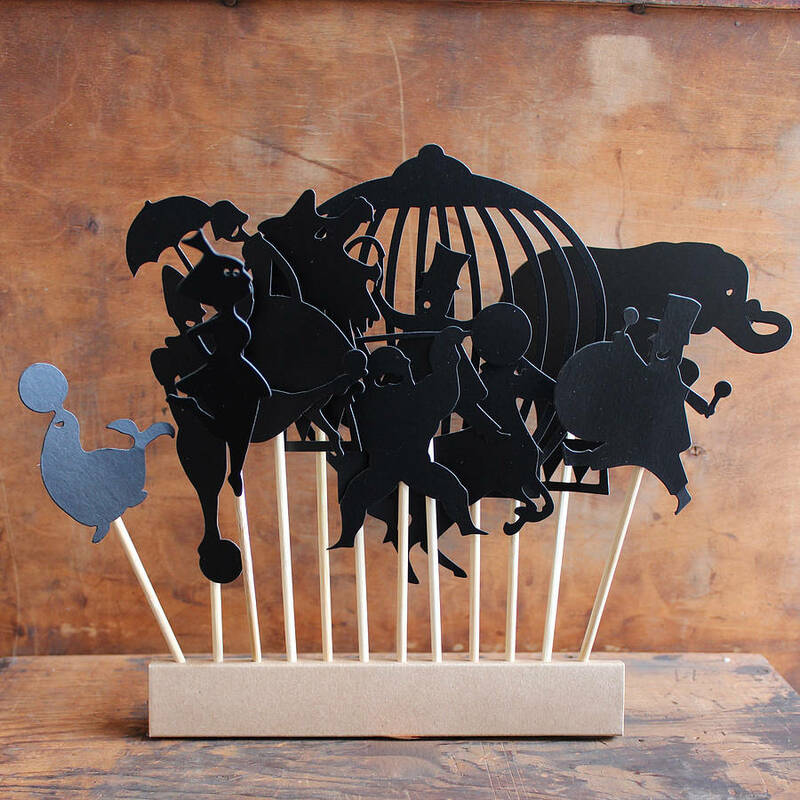 Project a circus adventure onto your little ones' bedroom wall using Moulin Roty's circus shadow puppet set. They'll ooh and aaahhh; hand them an old-fashioned tin musical box so they can add tinkling circus sounds when the clown lifts the elephant high in the air! When the sun reappears, strap a circus animal superhero cape on their backs and shoo them out the door: after all, those goofs are the biggest clowns around! 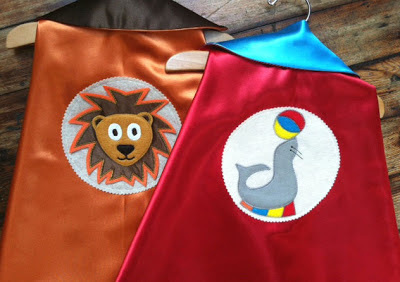 Take a spin through our website or stop by the shop to check out more circus fun!